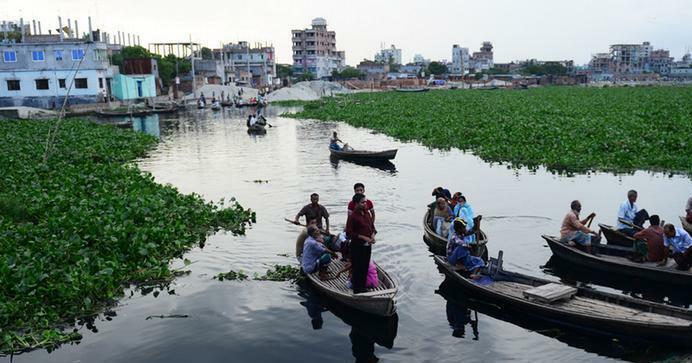 Water Resources Minister Anisul Islam Mahmud said about 40 percent pollution of Buriganga River has reduced due to removal of leather industry from the city’s Hazaribagh area. The minister came up with the claim at a road march programme starting from Bahadur Shah Park to Sadarghat on Saturday to mark the World Rivers Day which is set to be observed on Sunday, reports UNB. Dhaka Water Supply & Sewerage Authority (DWASA) has been asked to prevent pollution and removal of wastes from the river, the minister said, adding that they have already prepared a work plan in this regard. A good number of participants joined the programme. The theme of this year’s World Rivers Day is “Encroachment-pollution free rivers: Save Life and Nature”. Speakers at the programme vowed to protect the rivers and build awareness among the people against pollution and encroachment. World Rivers Day Coordination Council (WRDCC) read out five proposals and five promises at the programme. Since 2010, Bangladesh has observing the World Rivers Day. The day is observed on the last Sunday of September every year.